They are Aussie Grown and handpicked with care. 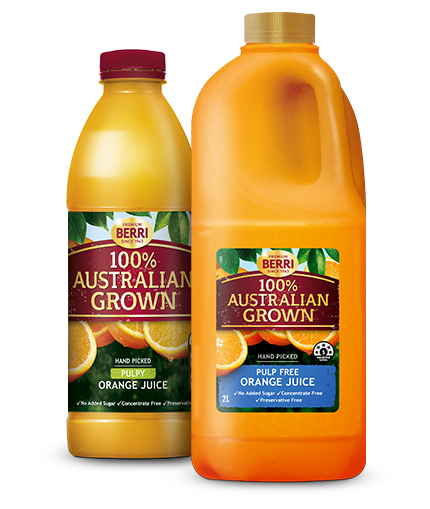 Picked from the region around leeton, these oranges are then taken from the farm to be juiced for your enjoyment. Orange Juice (99.9%), Vitamin C, Acidity Regulator (330).